A Pop of Pink Outfit Of The Day – Pinky and the Prep! Meetings, errands, and some fun around town consumed my Saturday. I wanted a simply outfit that was easy to put together, but still bright and fun! 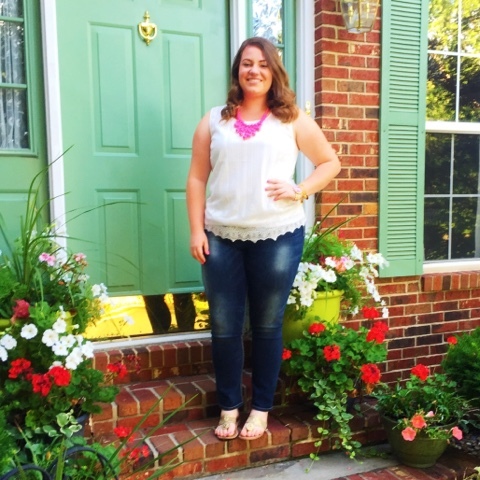 I started with one of my staple items; a good old pair of dark wash skinny jeans. My current favorites are from the brand SilverJeanCo. They are flattering, soft, and have gorgeous fading on the front and back. Next, since it was warm I wanted to go for a more weather appropriate top while still keeping it professional. This white top is from Glik’s. It is light and has gorgeous detailing on the bottom. Not to mention, everyone looks tanner in white. (: As for shoes I went with a summer favorite, my Jack Rogers sandals! The fun part of this outfit is the accessories! My necklace is big and loud! It’s from Glik’s. 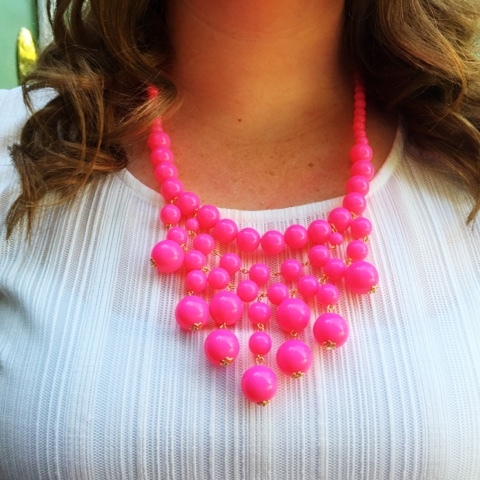 This necklace adds the perfect amount of color and fun to a simple outfit. And of course no outfit is complete without some killer arm candy. My brackets are from Alex and Ani and my watch is from Target. I got it for under $20! 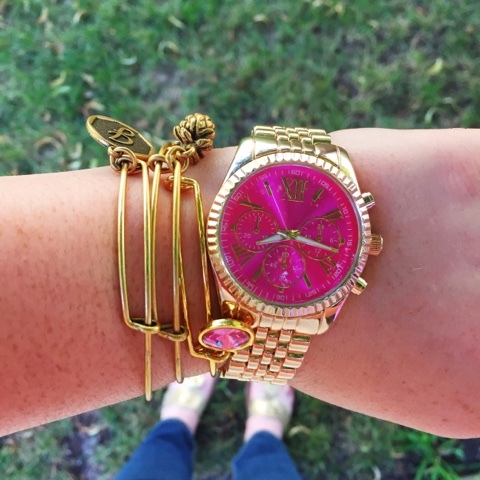 The pink on the watch and brackets paired perfectly with my necklace!